The MX100 impressed us with its great value but write speeds could have been better when compared to the competition. Crucial have recently unleashed the new and improved MX200 complete with Dynamic Write Acceleration technology on its smaller drives. Why only the smaller drives you ask? Well, it simply is not required on the larger capacity drives. 500GB and above SSDs do not tend to suffer with write speeds as much as smaller drives so it is certainly a welcome addition for those who are looking for a small boot drive. We have the 1TB version for review today which does not require Dynamic Write Acceleration technology but as with all of our SSDs on test we will look closely at write speeds because read speeds appear to have reached a performance threshold with most SSDs hitting the fabled 550MB/s speed. 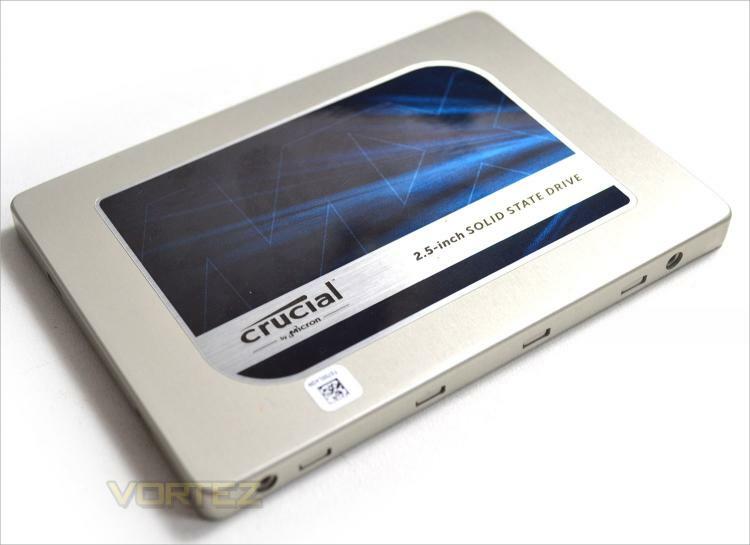 Write speed is where solid state drives can be distinguished from one another. The MX200 comes in a variety of storage sizes along with 3 form factors (2.5", mSATA and M.2) but only the standard 2.5" variant is currently available with the full 1TB of storage space. All of the drives come with Extreme Energy Efficiency technology, Adaptive Thermal Protection and Exclusive Data Defence along with a useful 3 year warranty. The MX200 also appears to offer good value for money with the range topping 1TB drive being one of the cheapest available. The BX100 is a little cheaper but this is considered Crucial's 'budget' conscious drive whereas the MX200 strikes a balance between cost and performance. If you don't need masses of storage space then the MX200 can be had for under £100 at around the £85 mark for the 256GB size and £160 for the 500GB. We would have liked to have seen a smaller 128GB drive in the line-up as many still prefer mechanical drives for data with a small SSD for a boot drive but the drop in SSD prices has meant that larger capacity drives have become more affordable and thus larger sizes are now more popular. Still, we think there is room for a small boot drive in Crucial's armoury. When the Crucial® MX100 was released, it set a new standard for SSDs that the Crucial MX200 pushes even further. Leveraging leading specs on all fronts, along with new Dynamic Write Acceleration technology, the Crucial MX200 is loaded with innovative features and immediately increases your system’s performance.